TBQ'S Book Palace: [Kame's Review]: "Naked Edge"
The day Navajo journalist Katherine James met Gabriel Rossiter the earth literally moved beneath her feet. Nearly killed in a rockslide while hiking, she found her life in the tall park ranger's hands. Although she can't forget him, she thinks she'll never see him again. She is crushed when she recognises her rescuer among the law enforcement officers raiding a sweat lodge ceremony one night, throwing her and her friends off Mesa Butte, land they consider sacred. Gabe long ago swore he would never again lose himself to one woman - not even one with long dark hair and big eyes that seem to see right through him. But from the moment he first sees Kat, the attraction he feels is undeniable. Appalled by what he has been ordered to do, he's determined to get to the bottom of recent events at Mesa Butte - and to keep Kat safe. Readers of my reviews know I love this series, and when I was looking for a great first read of 2013 I knew where to look. I got so into this book that when with three chapters remaining my Nook gave me the message I only had 10% of my battery left and that it would be shutting down – I read the remainder of the book sitting next to an outlet so I could plug my Nook in – there was NO WAY I was waiting until it was charged to finish! Katherine “Kat” James is a member of the I-Team we have met in previous books. Kat is originally from a reservation in Arizona, and is now living in Denver and reports on environmental issues. She is true to her Navajo upbringing. People might describe Gabriel “Gabe” Rossiter as an adrenaline addict. Gabe loves the outdoors and made sure he had a career that allows him to be outside most of the time, he is a mountain park ranger. He is also a man whose heart is scared by his past. This book opens with Kat hiking along the Mesa Butte and is caught in a rock slide. Gabe happened to be free-soloing and heard her scream. He did not think anyone could have survived the fall. She is dragging herself towards the trail when Gabe finds her; he quickly assesses the situation and saves her life. Fate does not bring them together again for months. And again Gabe is there when Kat needs help the most. She is participating in a sacred ceremony in a sweat lodge at Mesa Butte, when an overzealous police officer decided the ceremony violated land-use codes. Gabe has been called to the site and finds the officer pulling Kate out of the lodge by her hair. He immediately demands she and all present be treated with respect. Kat is determined to cover this story for the newspaper and agrees to meet up with Gabe again to exchange information. Kat is strong in her beliefs and visions of what her future holds. She is determined to only be involved with a man who is worthy of her, someone who is her half-side. And at first she is not convinced it is Gabe, and honestly neither is he; but they are drawn to each other. Gabe has suffered incredible loss and his way to cope is to live his life alone and take incredible risks while climbing; it’s the only way he feels free. I enjoyed the look into the Native American culture in this book; especially how a woman who grew up on a reservation could follow her beliefs but live in the big city of Denver. I also enjoyed Gabe’s willingness to learn her culture, but also wanting to show Kat a little of what makes him love Mesa Butte. The part I loved most of all were the wonderful visits from the characters of previous books; specially Julian and Marc – these men were a hoot! And their dialog just made me laugh (Marc has a nickname for Julian that makes me giggle every time I think of it). I highly encourage you to make sure you have enough time to read the last three chapters in one sitting. They are easily the most intense Romantic Suspense scenes I have ever read. Gabe earns the honor of my favorite I-Team hero in these chapters and more than any other male lead in this series he truly is a hero. Kame received this book from her library. *NOTE*: The quote used in this review is the property of Pamela Clare. 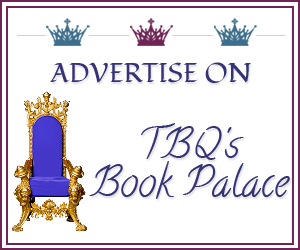 Kame and TBQ's Book Palace do not claim it in anyway. Great review Kame! I love all the I-Team books, and now I'm listening to them on audio! Excellent ! I completely agree! :) My goal this year is to finish this series (and revisit NE). I've been itching to do it for a long time, but, well, you know how things go--life gets in the way, reviews must be done, etc, etc. Not this year though! 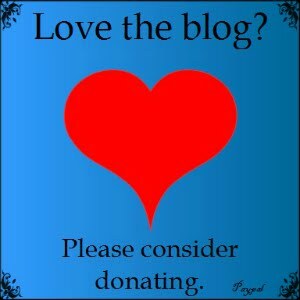 :) You are very welcome, I'm always happy to have you on the blog! And its nice to have a place to share my thoughts on books!